It is difficult to argue that Abraham Lincoln is the United States’ most celebrated president. His birthday even becomes a public holiday in several states. There were many things that this president achieved in his lifetime. He took presidential position during difficult period of Civil War. Lincoln was known to be a visionary leader who came up with progressive policies related to national’s affairs. Emancipation Proclamation was one of them. Lincoln was born to Thomas and Nancy Lincoln on 12 February 1809. The modest family originated in Hardin, County but later relocated to Perry, Indiana due to property dispute. His mother died in 1918 because of milk sickness. His father remarried to Sarah Bush with whom Lincoln shared close relationships. To help his family, he became involved in farming. Together with his father, he managed to grow family’s meager land. As a child, he did not receive proper formal education due to his family’s financial state. However, he was always known for his brilliance and eagerness to learn. He continued to self-taught himself by reading various books well through his adulthood. Abraham Lincoln volunteered as member of Illinois Militia from 21 April to 10 July 1932. He participated in Black Hawk War. Lincoln’s capability as a leader was tested during this period. Despite his minimal schooling, Lincoln managed a career as country lawyer. He worked within Illinois region. As a lawyer, he had handled various different cases. There were intellectual property, transportation, and even murder cases that he had handled. In 1854, he joined Republican Party. He was very notorious for his opposition against slavery. Lincoln rose fast in his political career and became a member to United States House of Representatives. The peak of his political career came with the election as President of United States. Despite winning the electoral college vote legally, there was murder attempt from his oppositions. He addressed the plan to emancipate slaves around United States early in his presidency. Two major events happened during Lincoln’s presidency: Civil War and Emancipation Proclamation. He was able to lead United States during turbulent period. Lincoln was re-elected in 1864. Abraham Lincoln married Mary Todd in November 1842. Mary came from a wealthy family who owned slaves. The couple was granted four children, three of them died when they were young. The children’s deaths deeply impacted Lincoln’s mental state and he was said to suffer from depression. Although Lincoln was not able to attend fully to his children, he was known to be loving father. He enjoyed relatively modest life. Lincoln and his wife were enjoying a play at Ford’s Theater when he was shot in the head by famous stage actor, John Wilkes Booth. The incident happened at night on 14 April 1865. The president fell into comma until he died in the next morning. His death was mourned around the world. Even then, his legacies still remain in his country. Without doubt, Abraham Lincoln really contributed to United States’ modern era. 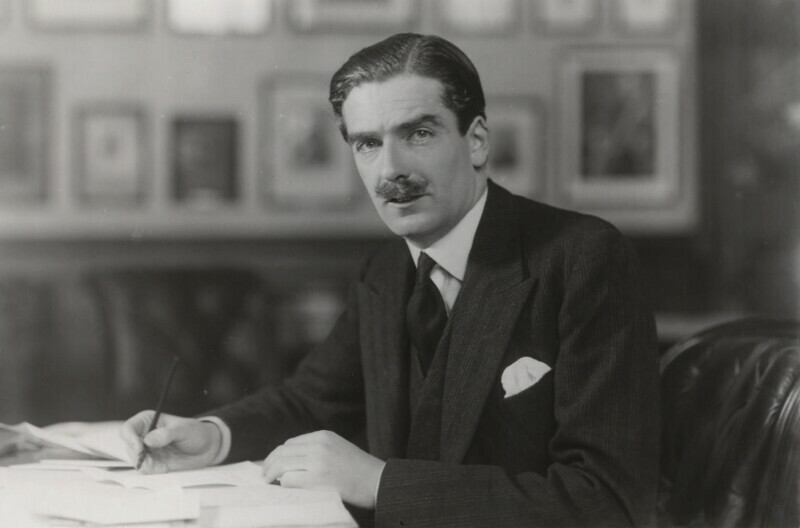 When discussing about British prominent political figure, it is hard not to include Anthony Eden. He was especially known for his involvement in Suez Canal Crisis. His decision related to that particular issue was considered controversial. Eden’s area of expertise revolved around foreign affairs. He contributed a lot for his country in its foreign policy matters. This article will be discussing about the politician’s life since his earliest day. The politician was born near Rushyford in County Durham on June 12th, 1897. He was the second son of Sir William Eden. The family had high social standing due to landed gentry. During his childhood, he would spend holidays abroad. Because of that, he gained proficiency in German and French. He was able to converse with people in those languages fluently. All Eden brothers joined British army in their youth. The politician lost his older and younger brothers due to war. He served the army from 1915 to 1939 with the highest rank as major. Coming from aristocrat family, he was able to enjoy high quality education. Eden started attending the prestigious Eton College since he was 14 year old. He joined sport teams in his time there. Eden latter went to Christ Church College at University of Oxford. He studied Persian as his main major with secondary interest in Arabic. During college, he developed interest in arts. Anthony Eden was an especially gifted student in foreign languages during his time at school. His interest in politics did not come until he was in his late teen. Eden joined Conservative and Unionist Party in 1922. At that time, he was appointed to oppose Spennymoor. He became interested in foreign related affairs during this period. Although his party did not succeed during his early political involvement, Conservative Party began to rise again in 1924. His disappointment over lack of position made him travel abroad to Middle East. Soon after his return, he had more chances to prove his knowledge on foreign affairs. He was not successful in General Election but became favorite candidate for ministerial post at Foreign Office. Eden rose to position as Foreign Secretary during difficult period as fascism began to spread around Europe. As war veteran, he utilized antiwar approach to conduct Britain’s foreign policies. He worked on and off as Foreign Secretary. His political activities made him popular political figure, though. In 1955, he resumed position as Prime Minister, replacing Winston Churchill. His biggest downfall was related to Suez Canal issue. Anthony Eden opposed to Egypt’s nationalization of the canal. Britain joined forces with Israel and France to attack Egypt but received criticism and sanction threats. Eden married Beatrice Beckett (who was eighteen) in 1923. The couple had three sons together, one passed away shortly after birth while another one in an accident. His first marriage ultimately ended in 1950. In 1952, he remarried with Clarissa Spencer-Churchill who was Winston Churchill’s niece. The marriage lasted until Eden’s death in 1977. The couple did not have any child together. Anthony Eden developed ulcer since his teenage years. This condition, coupled by stresses from his demanding job created bigger health problem. Suez problem made his health further deteriorated. You don’t have to be Beyonce or Steve Jobs to be someone’s hero. These are, of course, impressive people but the real true heroes we find much closer! Ask yourself: Who did or do you look up to, in your life? Who makes you laugh every day? Who always listens to your stories?